The Halfpenny Bridge over the River Liffey in Dublin seemed like a good cover image. 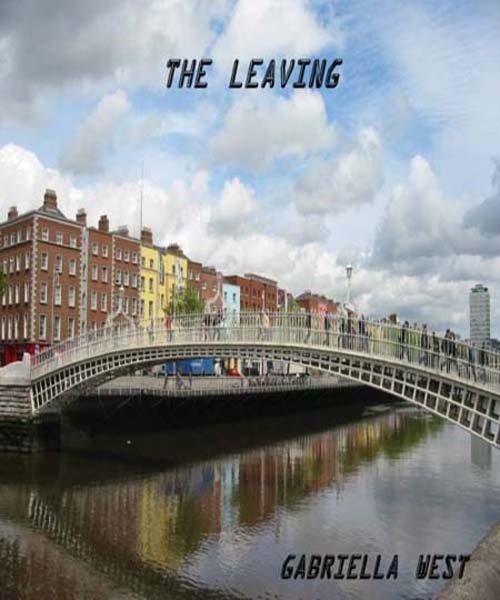 The Leaving, my first novel, is a coming-of-age story set in Dublin and has had a strange history: I started writing it at grad school at S.F. State in the late eighties (so it can officially be called an ’80s novel!). It had its beginnings as a short story published in the college literary journal Transfer in 1990 called “These Foolish Things.” It happened to be the first thing I ever got published, so I was excited. The main character, Cathy, gripped me. I was using an adolescent voice very close to my own (she’s 15, I was 22, and I had grown up in Ireland feeling like an outsider), but even though the voice and observations are close to my experience, the book is fictional in many ways. Cathy is 15 when the the novel opens; she has a gay brother, Stevie, and the first conflict in the book comes when she realizes that he is attracted to Ron, the one boy she likes in her class–and that he’s going to win this particular contest. The first few chapter plunge Cathy into an immediate sense of loss, as her brother is the closest person in her life, and as she watches him courting Ron and becoming more confident in his sexuality, she feels she’s losing him. At 15, Cathy Quinn is an intelligent misfit living in 1980s Dublin. As the book opens she discovers that her charming older brother Stevie, who’s gay, is falling in love with the one boy in school whom she likes. Over her last two years of school, Cathy struggles with her repressed, unhappy family, coming to terms with her powerful attraction to her best friend Jeanette, and leaving Ireland. “The Leaving” is a realistic yet lyrical look at adolescence and first love. Above all, the novel offers a wry, raw look at growing up in the conservative, recession-plagued Dublin of the 1980s, when homosexuality was still taboo, and being different was not tolerated. Although the novelist Molly Giles, whom I studied with, loved the book, and my writing group at the time was a great encouragement, I still didn’t finish the novel until 1995. It served as a thesis for my masters in creative writing at S.F. State. I always hoped it would be published. And now… it is. Just in a different way than I expected, but I’m glad to finally bring it out into the light of day. And I read the other day in the S.F. State alumni mag that Transfer has just celebrated its 50th anniversary. Nice. The first 40 or so pages of the book are free to read or download on the Smashwords site. Do take a look. View my author page on Smashwords. And read Chapter One here! 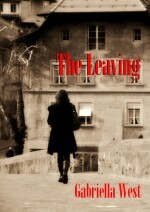 This entry was posted in Writing and tagged Smashwords, The Leaving. Bookmark the permalink. Congratulations! Keep us posted on what happens next… will you be doing any kind of publicity for the book? How do you help people find it in the vast sea of self-published e-books? I think the most practical thing I’ve done is to ask a couple of solid people to review it. And it’s linked on my author page at GoodReads, so hopefully a few people will run across it there. But… good question! Selling copies/getting it noticed is certainly a challenge.